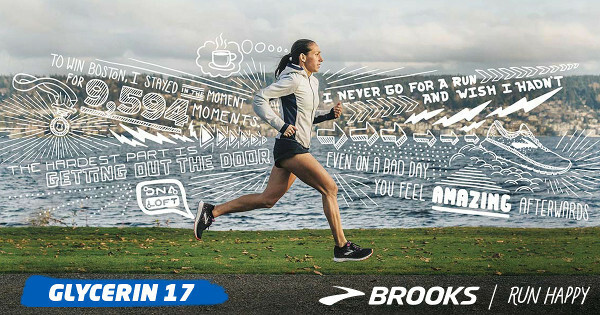 Join us for a special edition of our Monday Night Group Run at Big River South City on April 1 at 6 p.m. Brooks Running will be our guest with demos of the Glycerin 17, Transcend 6 and Levitate 2, so everyone will have a shoe to test out during their run. “Haiku” is a traditional form of Japanese poetry. Haiku poems consist of 3 lines. The first and last lines of a Haiku have 5 syllables and the middle line has 7 syllables. The lines rarely rhyme. For added fun at this group run, we’ll be sharing a secret topic that will inspire an original haiku, made up by YOU while you are running. We’ll have a poetry share upon runners’ return and will bestow prizes for most creative and crowd favorite! Bring your friends to this free, fun and creative group run! Run Happy!